Martin Parr was born in Epsom, Surrey, UK, in 1952 and studied photography at Manchester Polytechnic. He is a full member of the Magnum Photographic Corporation. Known for innovative imagery and an oblique approach to social documentary, Parr has recently developed an interest in filmmaking and in the application of photography to fashion and advertising. In 2004 Parr acted as guest artistic director for Rencontres d’Arles. The Barbican Art Gallery and the National Museum mounted a large retrospective and touring exhibition of his work, Photos in Bradford, in 2002. Parr is professor of photography at the University of Wales Newport campus. 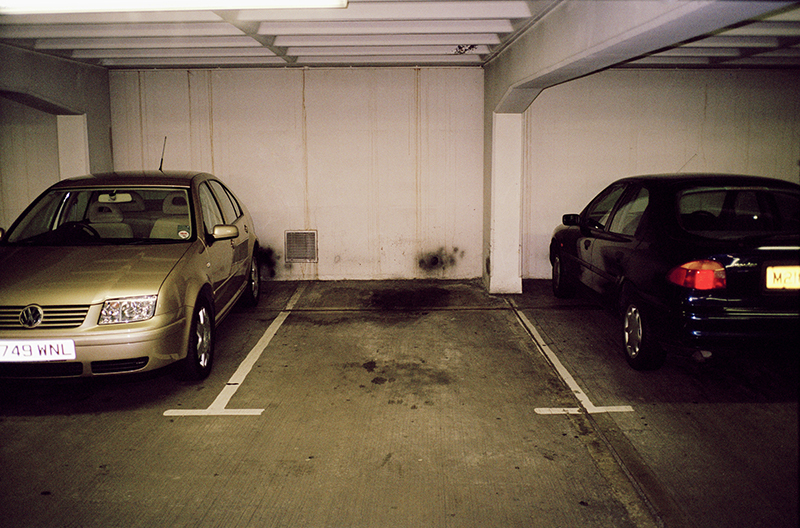 from the series Parking Spaces (2002-2005). © Martin Parr/Magnum Photos.